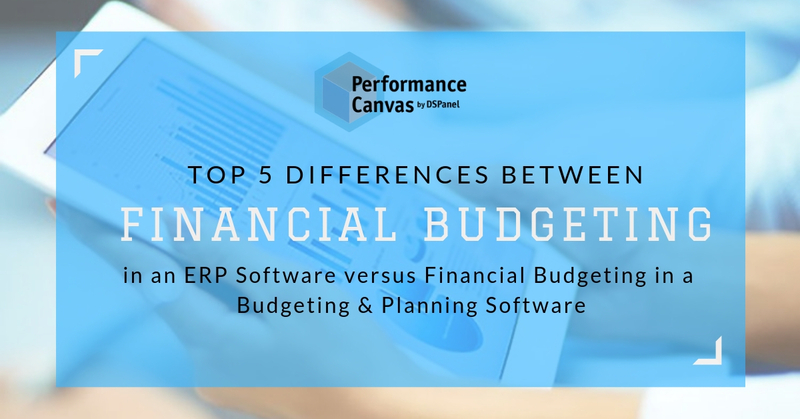 We often get the question of why an organization would need an add-on Budgeting & Planning software if their ERP software already includes budgeting and planning capabilities. Finance professionals that have experience doing budgeting & planning in a good, add-on budgeting & planning software perhaps need no convincing, but for those that have just relied on the standard budgeting features of an ERP software or through Excel spreadsheets, they need clarification. While it is true that ERP software contains budgeting capabilities, the reality is that the budgets you produce using ERP software are very generic and inflexible. Budgets are supposed to be dynamic so that it is easy to update it if there are unforeseen events or factors in the market. However, because of the limitations of budgeting and planning in ERP software, you cannot expect your budgets or forecasts to be easily changed or updated. One of the strongest selling points of an add-on budgeting & planning software is that it can connect the solution deeply into your business operations. A budgeting and planning software like Performance Canvas Financials can go beyond just General Ledger connection. This is something that cannot be accomplished by doing budgeting using an ERP solution. You can configure a supplemental budgeting & planning software so that it makes perfect sense to how your business operates or functions. A CPM software like Performance Canvas Financials is focused primarily on optimizing, controlling and automating the budgeting process. This means that FP&A vendors invest considerable time and effort in making sure that the specialized budgeting & planning software contains best practices in budgeting so that the entire process is always optimized for increased efficiencies. On the other hand, an ERP software´s role is not focused on budgeting which means that it may let you do budgeting & planning, but it will never be in the same league as a specialized software meant just for the budgeting process. As mentioned previously, because ERP software only scratches the surface of the budgeting process, many advanced analysis tasks are impossible to do using just an ERP software. For example, if you want to know what the effect of increasing employee benefits by 5% has on the rest of your budgets, that is hard to see without a specialized budgeting software. Budgets and forecasts are always based on assumptions, and if you want to test your assumptions, you cannot do that by relying just on your ERP software. The supplemental budgeting software to your ERP system is generally modern and focused on the finance user. This means that it is not as clunky as your ERP system. Specialized budgeting & planning tools are easy to use, adapt, maintain or upgrade. All these are to the benefit of the business since it will be a lot easier for finance professionals to perform their tasks without dependency on the IT department. If you have Dynamics F&O, Dynamics Business Central, AX, NAV, GP, Epicor ERP system, iScala, SAP, IBM or any other ERP system whether deployed on premises or in the cloud, Performance Canvas Financials – a cloud-based budgeting & planning software can integrate with it. One of the many benefits that people do not realize with this is that Performance Canvas Financials is not dependent on any ERP software which means that at any point in time you feel you need to change your ERP system, your budgeting & planning software can still exist ready to be connected to your next choice of solution. There are many other benefits of having a supplemental budgeting and planning software to your ERP system, learn more about these by visiting www.performancecanvas.com or by emailing info@dspanel.com to request a free online demo.